The Federal Road Safety Corps (FRSC) has said it will begin asking drivers in Lagos State to show their driving licenses. He went on to say that drivers without a license will be fined ₦10,000, and those who are unable to produce their licenses within 24 hours will have their vehicles impounded. The excitement is palpable as the date gets nearer, it's March 18, 2018 in Central London. 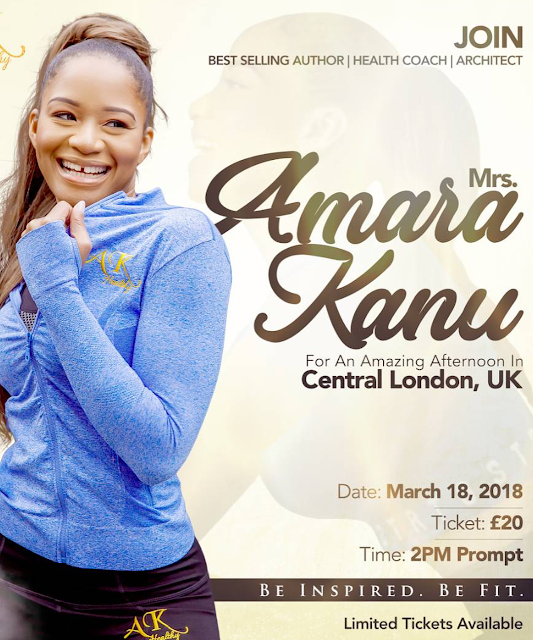 Amara Kanu, the gorgeous wife of ex-award winning footballer par excellence, Kanu Nwankwo has a date with her fans and admirers! She would be inspiring and motivating as she shares her top secrets on how she has been able to hold it down admirably so far, as a mother of many kids (motherhood), a wife (former WAG) to a star sport's personality, how she has been able to keep fit and trim while holding down a career, as a "best selling author"? Health coach and architect. Wife of Nigeria Vice President Yemi Osibanjo, Mrs Dolapo Osinbajo in Kano for the Kamu Wedding Ceremony of Fatima Ganduje and Idris Abiola-Ajimobi, children of Gov. Ganduje of Kano state and Ajimobi of oyo state today, 02 Mar 2018. A little baby boy has been born with a ‘horn’ growing out of his head, a development which has seriously stunned medical practitioners. Nigerian Fuji Singer, Kwam 1, who turned 61 recently, made a surprise commitment move with his partner of many years, Opeyemi. Kwam 1 at his “Ojushagbola Castle” Ijebu ode palatial home this morning tied the nuptial knots with Fathia Opeyemi, in the presence of registrars From Ikoyi registry who coordinated the formalization of the union between him and his beautiful partner as legal husband and wife with the exchange of rings and signatures. Thousands of people are living in motor homes in Los Angeles, California. These communities have grown over the years as the rent prices for houses and apartments continue to rise. One couple living in a camper is dubbed the 'odd pair' because of how they contrast each other. Sharon Manley and Kraig Goins have been living together for 15 years and hoping between different motorhomes. They said the police have not been sympathetic to their current situation. Diamond Haynes (pictured top left), who is in her 30s, is another person who was forced into living in a motorhome. She became addicted to crystal meth and lost her seven children to foster care after her apartment caught fire. Police impounded her motorhome after she spoke with a Los Angeles Times reporter. Her whereabouts are currently unknown but some say she is in drug rehab. President Buhari today attended the Wedding Fatiha of Idris Ajimobi and Fatima Ganduje, the son and daughter of Governor Ajimobi and Governor Ganduje, respectively: the dowry was N50,000. The Economic and Financial Crimes Commission, EFCC, yesterday, told the Federal High Court in Abuja that it stored over N3 billion loot recovered from former Group Managing Director of the Nigerian National Petroleum Corporation, NNPC, Mr Andrew Yakubu, in iron boxes.The anti-graft agency, which made the revelation at the resumed trial of the former NNPC boss on charges bordering on money laundering, said the boxes were also sealed with iron rods.Testifying as the third prosecution witness, PW-3, a lead investigative officer from Kano zonal office of the commission, Mr Ahmed Yahaya, said the iron boxes were kept at the Central Bank of Nigeria, CBN, for safe-keeping. Yakubu who was GMD of the NNPC between 2012 and 2014, was accused of stashing over N3 billion at his house in Kaduna. Meantime, at the resumed trial, the PW-3 who is a Deputy Detective Superintendent, told the court that he is also the EFCC exhibit keeper in Kano state. Led in evidence by the prosecution counsel, Mr Ben Ikhani, the witness said: “My lord I know the defendant. On February 3, 2017, at about 4:50pm, my head of operations called and informed me that a team of operatives attached to Intelligence Special Operation Section, ISOS, were coming back from Kaduna on special assignment and that they were coming back with a full cabinet safe. 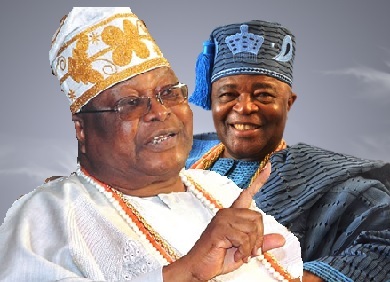 The Awujale of Ijebuland, Oba Sikiru Adetona has responded to the Alake of Egbaland, Oba Adedotun Gbadebo’s categorization of himself as being among the five top monarchs in Yorubaland, asserting that the Alake was a junior Oba in Yorubaland. While receiving the Ooni of Ife, Oba Adeyeye Ogunwusi, in his palace recently, the Egba monarch was reported to have said that the Big Five royal fathers in Yorubaland have been categorised with the Ooni in the first position followed by the Alaafin, the Oba of Benin, with the Alake coming fourth and the Awujale occupying the fifth spot in that order. But reacting at a fundraiser for a professorial chair instituted in his honour by the Olabisi Onabanjo University, Ago Iwoye, in Lagos on Thursday, the Awujale accused the Alake of peddling falsehood and turning history upon its head by quoting wrongly from a 1903 Gazette to support all the fallacies in his statement. Fear has gripped residents of Ezimuku, Agbaja in Abatete area of Anambra state after a young man killed his own father and stabbed his mother in a tragic incident which happened earlier today. According to reports, the reason why the man meted out the horror on his parents is still unknown. He was arrested by the Abatete vigilante group and placed in handcuffs as he was handed over to the police. Sophia Momodu, the baby mama of popular Nigerian superstar singer, Davido, has shared her story of how she coped with getting pregnant for the singer at a young age, amid criticisms and heavy bashing from family, friends and the public. Sophia, who was criticised for allegedly attempting to trap Davido into marriage with her pregnancy, has never explained how she dealt with the immense pressure she was under until now. She opened up after she was asked by a lady who was in the same situation like she was a couple of years ago, how she can deal with societal pressure about her condition. Police on Wednesday arrested 225 suspects during simultaneous raids on identified criminal enclaves in Mushin, Lagos. Some of the suspects were caught with arms and ammunition and a large quantity of weed suspected to be Indian hemp. The areas raided include Akala and Idi-Oro, both of which have long been notorious for harbouring criminals. Ahead of the wedding of Governor Abdullahi Ganduje’s daughter, Fatima, and the son of Governor Abiola Ajimobi of Oyo State, Idris, in Kano, President Muhammadu Buhari is expected to lead other high-profile guests like Senate President, Bukola Saraki, Asiwaju Bola Tinubu, and governors from several states to the occasion on Saturday. Apart from government officials, technocrats, captains of industries and diplomats representing different nations are also expected to be a part of the ceremony. Wife of Vice President Yemi Osinbajo, Oludolapo, had arrived Kano on Friday in company with wives of 15 state governors in preparation for the event. 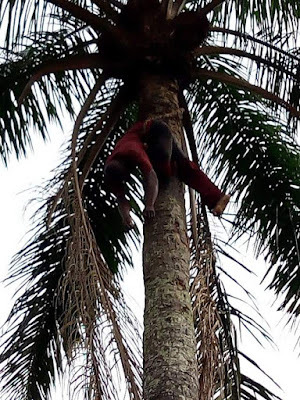 Tragedy has befallen the people of Umuocha Ohuba-Ubomiri in the Mbaitoli Local Government Area of Imo State as a palm wine tapper simply identified as Njoku, was on Thursday found dead on top a palm tree. A villager, Iheanyi Enwerem, told Southern City News that the deceased had left his house early in the morning for his daily palm wine tapping business. The villager, who was visibly shocked by the development, disclosed that as of the time Njoku left his house, there was no sign that he wouldn’t return alive. 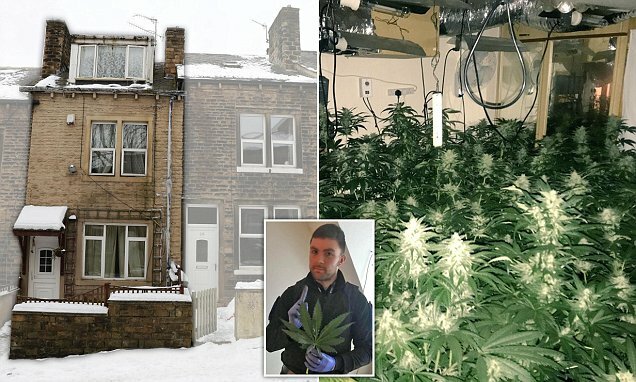 A huge cannabis haul worth an estimated £80,000 has been seized by West Yorkshire Police after they spotted a house with suspiciously no snow on the roof. Officers stormed the property on a street near to Arctic Street in Keighley yesterday after catching a strong smell of cannabis outside. Police then noticed a lack of snow on the roof, which suggested a strong heat presence inside the property. Upon entering the house, police found around 322 plants in all four bedrooms of the property and in the cellar. The heat from the lamps which helped to grow the plants was melting the ice and snow off the roof. The Lagos State Government has uncovered an alleged illegal baby factory in Lekki area of the state and arrested a Togolese woman who allegedly runs the home and rescued three children. Also arrested was a pregnant woman and seven others who were brought to the Ministry of Youth and Social Development on Friday evening. Officials of the ministry, escorted by 20 policemen from the Ajah Police Station and Area ‘J’ police Command stormed the area at Baboon Village, Ajele area of Ajah and arrested the suspects. Abolore Akande popularly known as 9ice has announced his new album titled ‘GOAT’, greatest of all time. The new album will contain nine tracks, with production from a number of music-makers, including Olumix, ID Cabasa, Young One, DJ Coublon, Tony Why, Team Salut, Young John, ABL, Shocker and STG. The lovely couple shared these loved up pre-wedding photos on social media but what has been the talking points for most people online is the size disparity between the love birds with some asking the question of how he is going to handle her in the ‘other room’, others have jokingly remarked that the match is actually David and Goliath part 2. However, it is quite interesting to see two people so obviously in love with themselves regardless of size or any other thing that is quite frankly trivial and secondary. 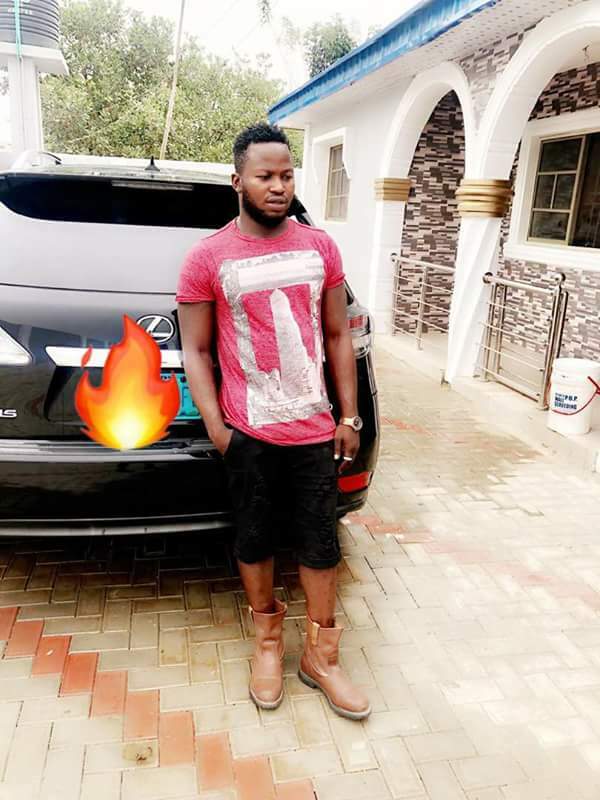 Taiwo Adeleke has revealed how his twin brother, Kehinde Adeleke, a Bet9ja agent who just r‎eturned from Europe was killed allegedly by a club owner. ‎Insideoyo.com yesterday reported that the state government shut down the bar indefinitely over the unfortunate incident ‎which led to the killing of Taiwo who just clocked 30 in January. 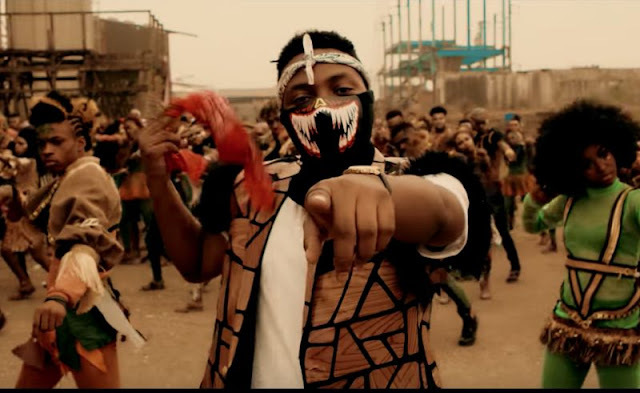 The fast rising Nigerian rap sensation, Zlatan Ibile who has been taking care of the popular street kid, Segun wire since he became an internet sensation when he said he would love to be a yahoo boy when he grow up has been a victim of human’s wickedness. 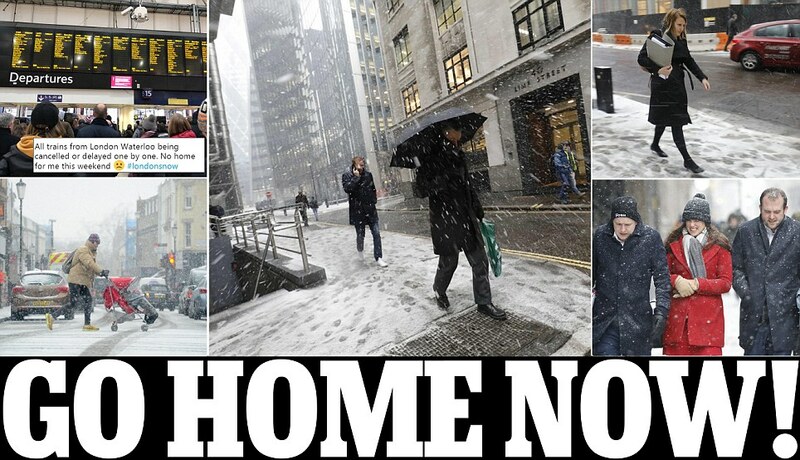 Commuters have been urged to leave work immediately to catch a train home or be stuck in snow before 90mph Storm Emma and the 'Beast from the East' hit Britain with a final blast of blizzards, ice and flooding. Thousands of drivers and train passengers were left stranded overnight as extreme weather continued to wreak havoc today with roads brought to a standstill by blizzards - before black ice causes further chaos tomorrow. Last October, actress Toyin Abraham lost her 77 year old dad, Pastor B.E. Aimakhu. “It saddens me to the core of my being that my amazing dad has gone to be with the Lord”. A serving Nigerian police officer has been shot dead by area boys in Lagos.According to his colleague Titus,Sgt Emmanuel Abam,belonging to Itire Police Station Area D Command was killed by area boys at Akala Mushin,Lagos. Nollywood actress /producer, Toyin Abraham started the funeral services for her late father with a Wake Keep on March 1, 2018 and during the eulogy of her father, Toyin couldn’t hold back her emotions as she began to cry and mourn her father. A viral video showing the bodies of the late Afropop singer, Ebony Reigns, and her late friend Franca Kuri, in a mortuary has left the public horrified. A Nigerian man was found dead in apartment in Indonesia after bedding with a married woman. 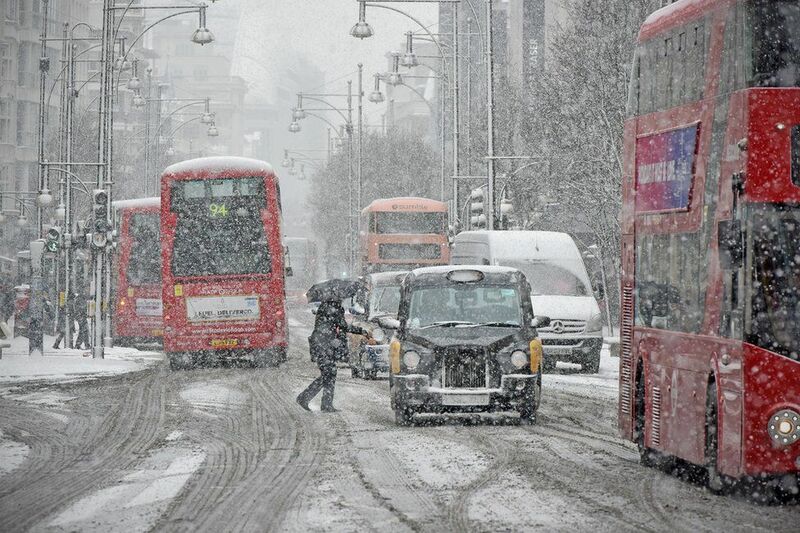 Much of the UK has been put on a red weather alert, with public transport disrupted, schools closing and roads across the nation blocked due to the snow. However, the panic and chaos caused by the 'Beast from the East' has caused some amusement in nations where severe snowfalls are more common. Scandinavians and Canadians have been leading the charge on Twitter, making fun of British people complaining about the snowfall and panic-buying bread and milk. 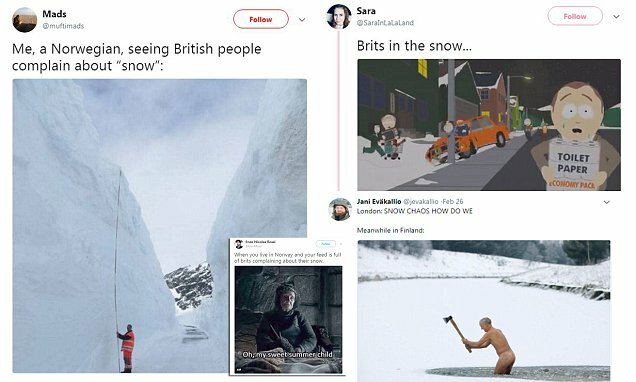 Social media users were seen sharing photos of winter swimmers, Canadian football players on the pitch in a blizzard, and funny memes poking fun at Brits. The Olubadan of Ibadanland, Oba Saliu Adetunji has said that the ‘unprecedented’ achievements of the Governor Abiola Ajimobi, qualifies him for another term in office were it not for constitutional impediment that restricts governors to two terms in office. The meeting held at House of Chiefs, Secretariat, Ibadan, was also to mandate them to ensure peace in their domains during and after the local government election that has been fixed for May 12, this year. Pastor of Daystar Church and motivational speaker, Pastor Sam Adeyemi, has given his views on payment of tithe by Christians. It's So Cold Even The SEA Has Frozen! 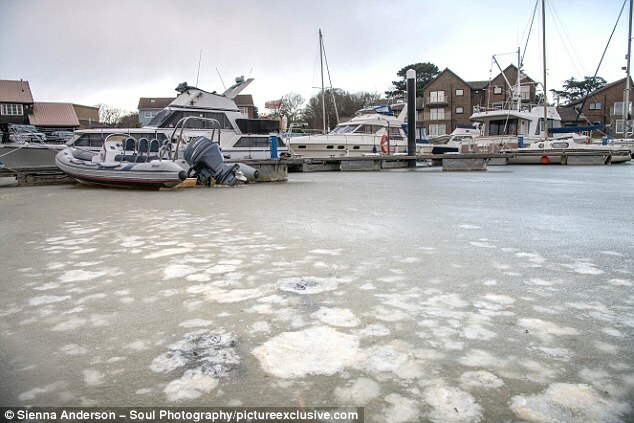 Part of the sea around the UK have frozen over after the 'Beast From The East' continues to batter Britain with snow and sub-zero temperatures. Boats were trapped on Bembridge Harbour, on the east coast of the Isle of Wight after water temperatures dropped below -2C. Temperatures on the Isle dipped below -6C overnight and an amber weather warning has been issued for today. Britain's weather death toll has risen to seven after a motorist died in a crash between a lorry and a van on a snow hit road. The victim, a 46-year-old man who was driving the van, was pronounced dead at the scene on the A34 in Hampshire. Earlier a 75-year-old woman was found frozen to death under a parked car in Farsley, near Leeds (top). It comes a day after a man in his 60s died after having apparently fallen through ice over a frozen lake (left and bottom) in Welling, South East London, as he tried to rescue his dog. 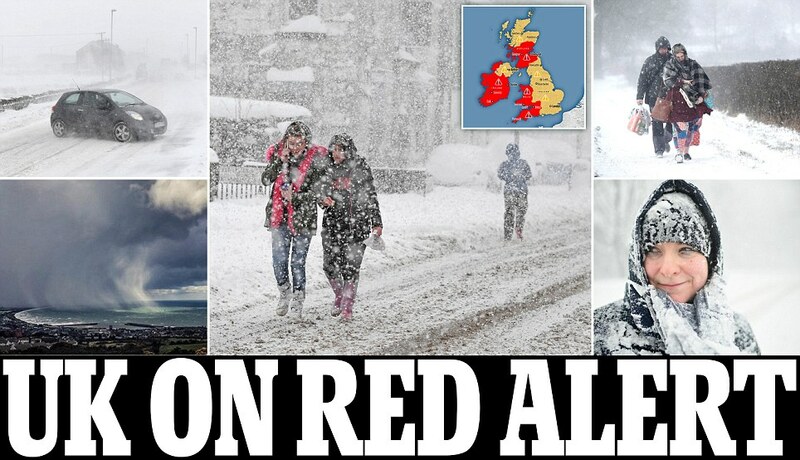 Britain is facing a serious flooding threat as Storm Emma batters the coast after sub-zero weather, icy blasts and 'blizzard-like' conditions left drivers stranded for more than 13 hours and airport passengers stuck overnight. The Met Office has put England under an unprecedented red warning for snow, amid concerns that up to 1ft 8in could fall in the South West. The Independent National Electoral Commission (INEC) on Wednesday, February 28, announced dates for general elections in the country for the next 36 years, starting from 2019 to 2055. The chairman of the commission, Prof. Mamood Yakubu, made the announcement at a consultative meeting with leaders of political parties in Abuja. Son of President Buhari, Yusuf Buhari, arrived Nigeria yesterday from his medical treatment.He was received by the honorable Minister of State for Health. Anna Awe Akuson, a prosecution witness in the N3.9billion fraud trial involving Alex S. Badeh, former Chief of Air Staff, on Wednesday, February 28, 2018 told Justice Okon Abang of the Federal High Court sitting in Maitama, Abuja how a search conducted on a property allegedly belonging to the defendant led to the recovery of $1million (One Million US Dollars) suspected to be proceeds of illicit deals. Akuson, an operative of the EFCC, who testified as PW20, said that the money was found in a wardrobe at the upper apartment of the building located at No. 6 Ogun River Street, Off Danube Street, Maitama, Abuja. 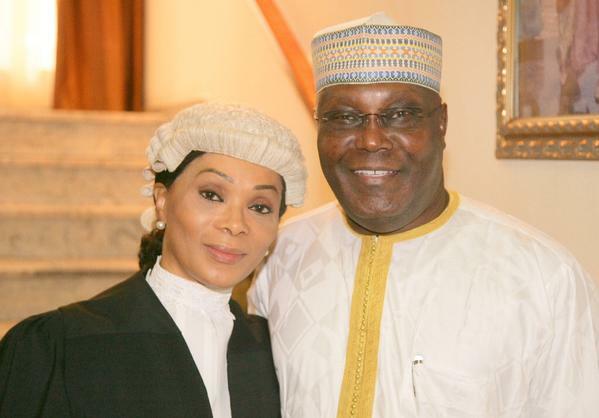 According to a new DailyTimes report, Jenny as she is fondly called, who is a legal practitioner in private practice in the federal capital territory, Abuja, is said to be making underground moves for her hubby to actualized his presidential dream come next year. Justice Ijeoma Ojukwu of the Federal High Court, Abuja on Tuesday, February 27, 2018 convicted one Moghalu Maduakonam on one-count charge of money laundering preferred against him by EFCC. Maduakonam, a business man, was arrested sometime in February 2013 by operatives of the EFCC for transporting in cash in the sum of $200k while boarding an Ethiopian Airline from Nigeria to Dubai. The money is above the threshold of $10,000 allowed by law for an individual. The defendant failed to disclose the said sum to the Nigerian Customs Service, NCS. Senator Florence Mayen Ita-Giwa clocked 72. To mark the event, the celebrated society matriarch and style maven hosted a soirée for her friends and loved ones. The party took place her Banana Island, Ikoyi home. 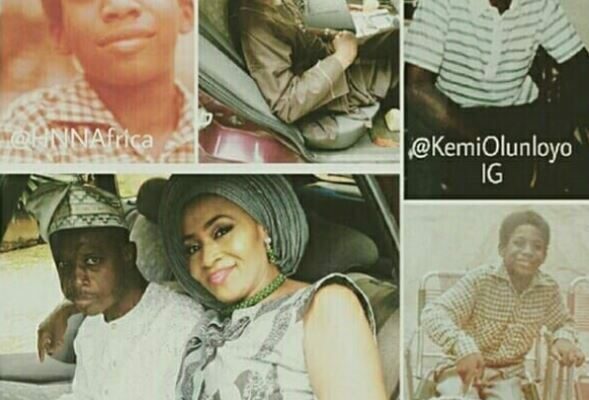 Controversial Nigerian investigative journalist, Kemi Omololu Olunloyo is in the news again, but this time, to share a touching story of her younger brother who has been confined to a wheelchair following an attack. Daughter of a former governor of Oyo State, Victor Omololu Olunloyo has shared the story of her younger brother who has been on the wheelchair all his life after being attacked during a case of student protest. In the viral video, the mortuary attendant is seen fondling the corpse of Ebony and that of her very good friend, Franklina Nkansah Kuri, who died alongside Ebony in the same accident on February 8. As he touched them, another mortuary attendant filmed. 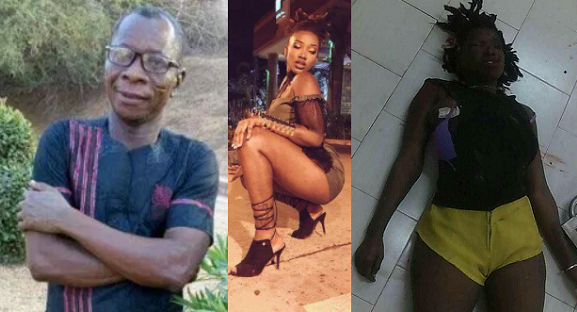 In the video, the attendant, believed to be the head of the Bechem Government Hospital Mortuary, is seen with a rubber-gloved hand handling the bodies for the video to be shot, touching the bodies of the late Ebony and her friend inappropriately. While touching Ebony's body, the attendant extended his hand down to touch and play with her navel piercing rings. As he did that, he called for his assistant to shoot well. The Economic and Financial Crimes Commission, EFCC, Ibadan Zonal Office, on Tuesday, February 28, 2018, arraigned the duo of Ebiesuwa Abayomi Fredrick and Tinuola Idayat Oyegunle before Justice Joyce Abdulmalik of the Federal High Court sitting in Ibadan, Oyo State on a two-count charge bordering on obtaining money by false pretence. The defendants were arraigned following a petition submitted to the Commission by a complainant, alleging that they masterminded the infamous dollar scheme to entrap her. Britain is set for yet more travel misery tomorrow as the severe weather and sub-zero conditions continue when Storm Emma sweeps in from Europe to meet the 'Beast from the East'. The Met Office said the arrival of Storm Emma tomorrow from France and Portugal will bring a 'cocktail of weather events' which will see blizzards, gales and sleet for the UK just days after the bitingly cold air arrived from Russia. Hospitals cancelled operations today and staff living within walking distance were urged to come in, as police and fire services had to rescue stranded vehicles and deal with crashes following several more inches of snowfall. Below is the inspiring story of a Nigerian university graduate who became a bricklayer to make a living. The young man graduated from the university with distinctions in microbiology and became a bricklayer. 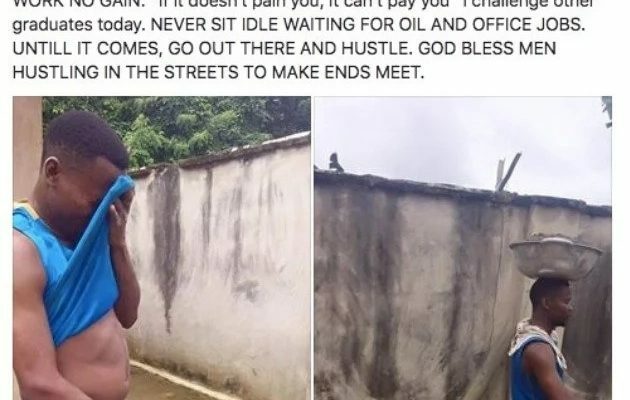 The Facebook user identified as Adimorah Enechukwu stated that he shared the story to inspire others like he was inspired by the man’s touching determination to succeed.